I wonder what kind of democracy the GCC deal and the US fostered in Yemen. First, Saleh is free out there; flying around like he didn't committed crimes against humanity not only during the revolution but also throughout his rule time. Second, Yemen had an early presidential election with no referendum to ask the people of what they truly want. Third, one political party, one candidate, one man was running; ignoring the several political spectrum in Yemen. Fourth, Hadi won with %99 votes; with is a sign of how corrupt his system will be. 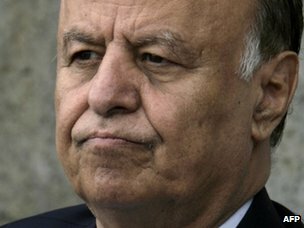 Fifth, Hadi has been a vice for over 17 years, meaning he is a mini-dictator compared to Saleh... sixth, ... seventh.. the list would go on!! What kind of democracy is that! would you "democratic countries" accept such games!